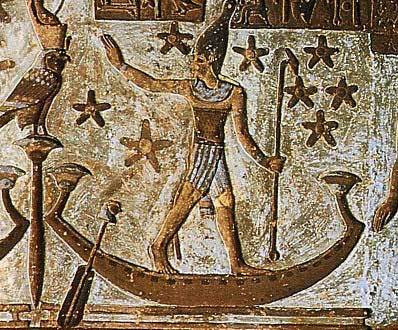 Inner Civilization: "We Are Stardust"
The Duat (Astral Plane) or sky region is the place through which the Pharaohs believed that their souls would travel after death. It was the starting point of the Pharaoh's journey back to the stars from whence he came. From the moment of his birth the Pharoah was groomed and trained for his return to the “First Time” ("beginning of beginnings"). All his life, every aspect of it, was associated with his journey. The Egyptians were not fixated on the afterlife, as thought by early Christian translators, but focused on creating a higher type of human. Along with many ancient cultures, they believed they came from the stars and were destined to return. The knowledge of Thoth/Enoch implies humans are meant to evolve beyond our present terrestrial form. 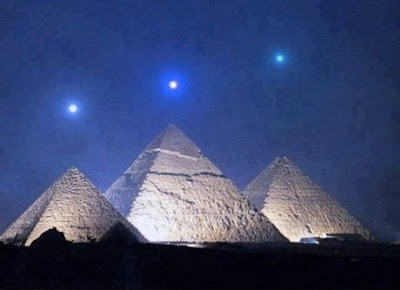 The Egyptians record stories of the "Star Walkers", occasional individuals who, like Enoch, travelled "beyond the Great Eye of Orion" and returned, to walk like gods amongst men. What is meant by the line, "we are caught up in the devil's bargain"? "He (Shaytan) said: I am not such that I should make obeisance to a mortal whom Thou hast created of the essence of black mud fashioned in shape. He said: Then get out of it, for surely you are driven away: He said: My Lord! then respite me till the time when they are raised. He (Allah) said: So surely you are of the respited ones till the period of the time made known. He (Shaytan) said: My Lord! because Thou hast made life evil to me, I will certainly make (evil) fair-seeming to them on earth, and I will certainly cause them all to deviate, except Thy servants from among them, the devoted ones. He (Allah) said: This is a right way with Me: Surely. as regards My servants, you have no authority, over them except those who follow you of the deviators. Surely those who guard (against evil) shall be in the midst of gardens and fountains: Entering them in peace, secure." 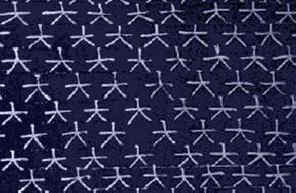 Egyptian representation of stars with five points was meant to symbolize their connection with the human body. Every single atom in your body—the calcium in your bones, the carbon in your genes, the iron in your blood — was created in a star billions of years ago. All except atoms of hydrogen and one or two of the next lightest elements. They were formed even earlier, shortly after the Big Bang began 13.7 billion years ago. 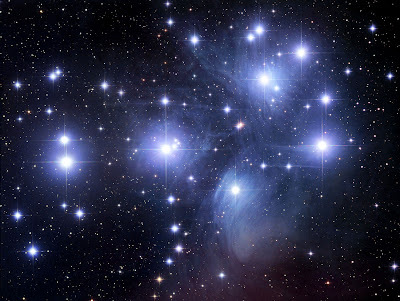 “All protons, all atoms are connected to all other atoms in the universe." "We’re starting to realize that we’re all connected, we’re starting to experience ourselves as a one-system, a unity-system instead of separate and individualized. And as we do this I think our ethics are gonna change, as we realize that we’re all connected, as these physics come along and help us understand why we’re all connected.” ~ Nassim Harramein. 2, [url=http://www.zvigen.com/]Purchase Lorazepam[/url] - Ativan Medication - buy ativan no prescription http://www.zvigen.com/ . 12, [url=http://www.encuentrocubano.com/]buy prozac no prescription [/url] - cheap fluoxetine no prescription - prozac online http://www.encuentrocubano.com/.